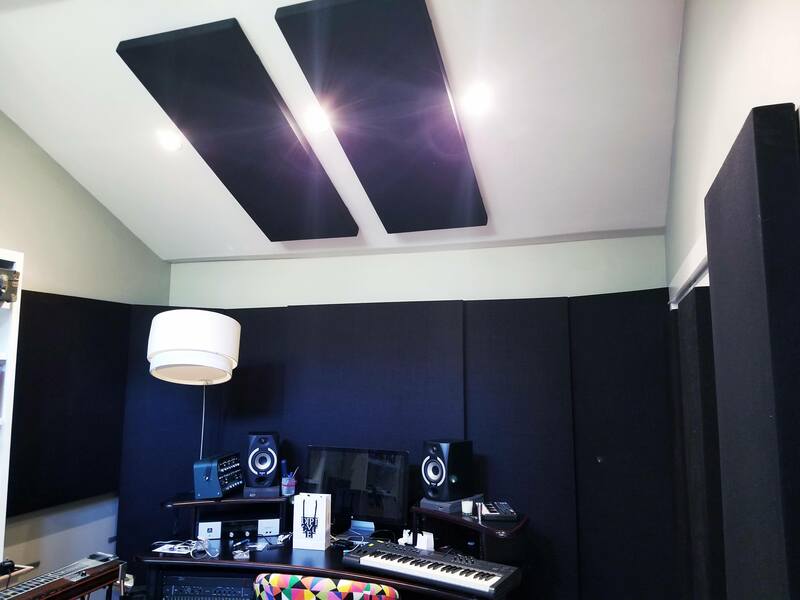 Whether you are a home studio or professional recording facility, treating your studio with LA Sound Panels™ is a must to achieve high quality recordings. When you listen to audio through speakers, your ears hear audio directly from the speakers and reflections from the walls, floor, and ceiling. For example, the sound from the right speaker will reflect off the left and rear walls and arrive at your left ear. The sound from these reflections is slightly delayed resulting in poor clarity and imaging making it very difficult to get a professional and accurate mix. You may also encounter nulls in the low end or “boominess.” This makes it difficult to accurately mix the bass. You may find the perfect mix in your room, then listen to the mix on other speakers and the bass will be too loud. LA Sound Panels are designed to stop these reflections and low end issues so you can get the mix you want every time. 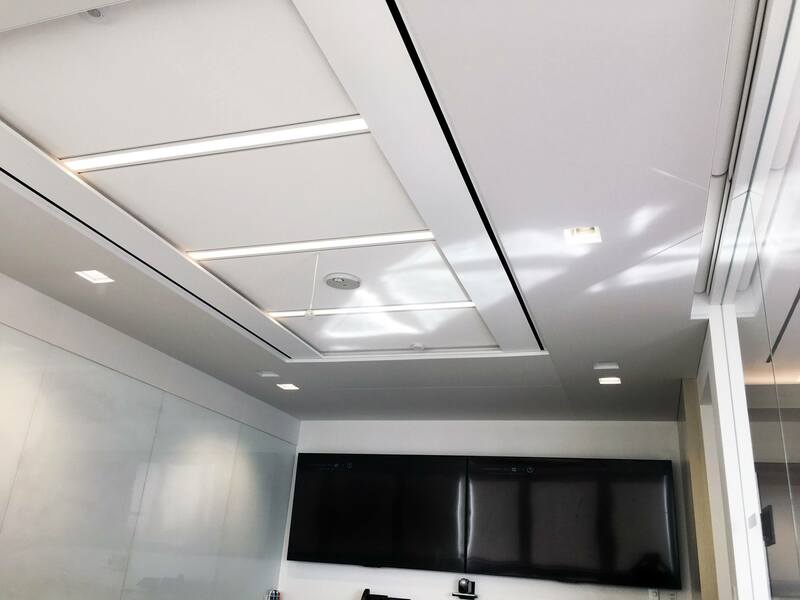 Our sound panels are constructed with a wood frame for sturdiness and wrapped tight for a professional, square look. 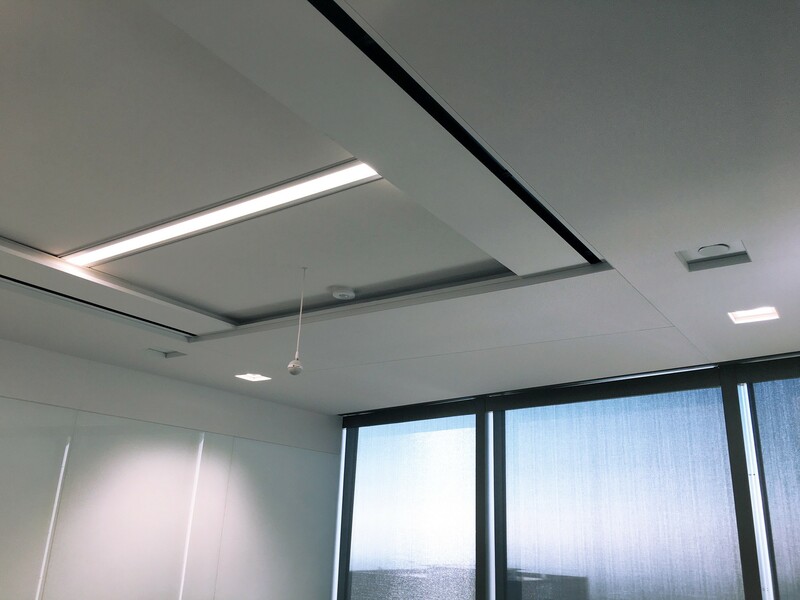 We use an audio translucent fabric and an eco-friendly Roxul mineral wool insulation that has ideal sound absorption qualities. We install a wood frame on the back that leaves an air gap between the wall and insulation, improving the absorption of low frequencies. 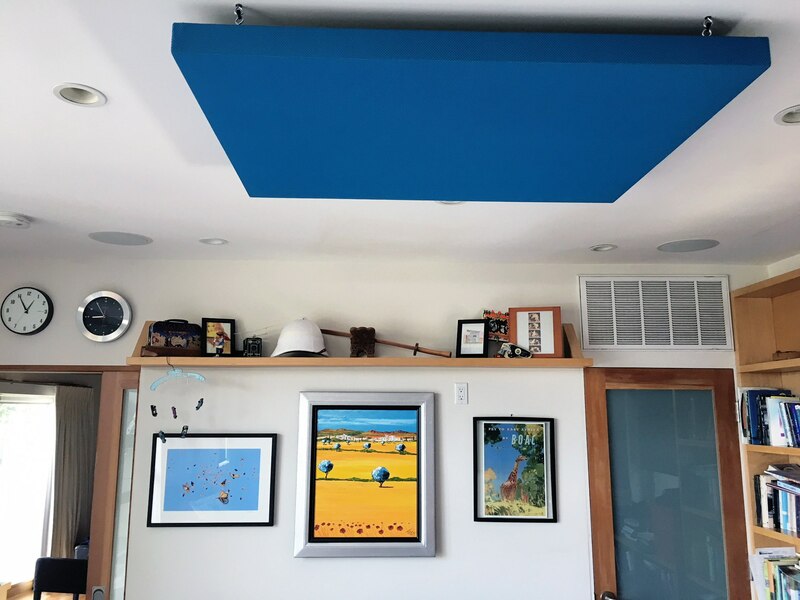 The acoustic panels will hang easily on the wall like a picture frame. Our sound panels can be taken down in seconds if you want to experiment with the sound of the room while tracking drums, for example. Place at the first and second reflection points in your room. You can also use these as clouds to stop reflections from the ceiling. 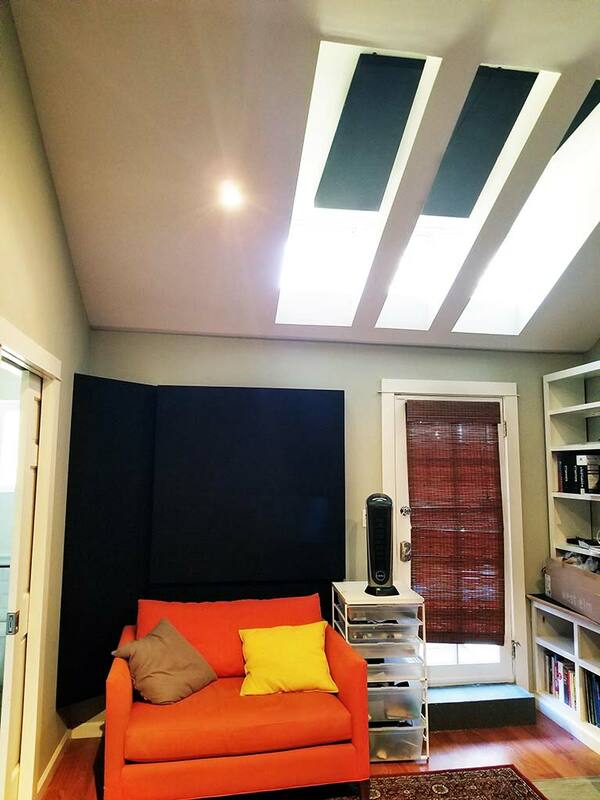 The Full-Tone Acoustic Sound Panel is also perfect for “deadening” a room used for a vocal booth or any space that sounds like an echo chamber. 4″ of Roxul insulation is used in our Lo-Tone Bass Trap which make them highly effective for absorbing low frequencies under 250 Hz. Place horizontally or vertically where two walls meet or where a wall meets a ceiling or floor. Placed in corners where the walls and ceilings meet. the Corner Triangle Trap will often smooth out the low end “boominess” common in smaller rooms.